A timeless navy linen blend 3-piece suit. 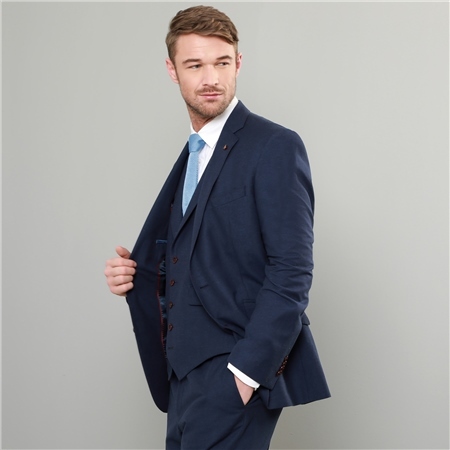 This garment is an all-time classic for your spring/summer wardrobe, ideal for a summer wedding or style the jacket with chinos for a casual look. Jacket - 2 jetted slant pockets with suede trim, 2 button, 4 button cuff, centre vents, outer breast welt pocket & internal pockets. Trouser hem width is 15.5"